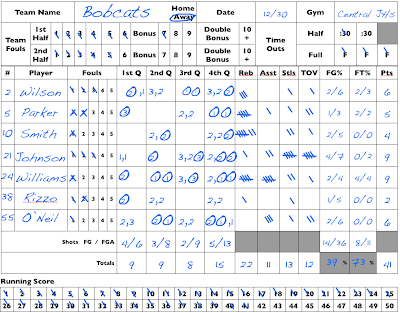 Once you mastered How to keep score in basketball - The Basics you can start adding the "nice to have" stats listed below. There's so much more to basketball than scoring. These more advanced stats help a coach understand the contributions of each one of his players beyond scoring. These "advanced" stats are actually fairly basic stats. For even more advanced stats options like the PER (Player Efficiency Rating) and EFG% (Effective Field Goal Percentage) go to Basketball-Reference website. This is easy. When a player attempts a field goal or a free throw mark it down a 1, 2 or 3 on the scoresheet next to the players name in the column that corresponds to the quarter that the shot was taken. 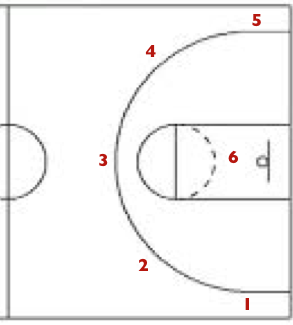 If the player makes the shot, circle the number. 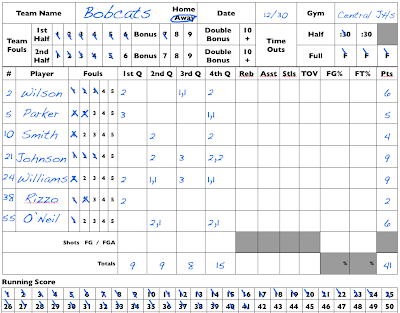 You will see below that Bobcat player #5 (Parker) attempted and made a 3 point shot in the first quarter, missed two consecutive 2 point shots in the third, and made two free throws in the fourth quarter. To figure out the Field Goal Percentage (FG%) count the number of field goal attempts. You do this by counting the number of 2s and 3s, both circled and not. Tigers player #1 (Hawk) attempted five 2 point shots (made three of them) and attempted two 3 point shots (missed both). Hawk attempted 7 field goals and made 3. In the FG% you can put 3/7 or 43%. You will notice that Hawk also attempted four free throws (made two of them). These do not factor into the FG%. To figure out the Free Throw Percentage (FT%) count the number of free throw attempts. You do this by counting the number of 1s, both circled and not. Tigers player #1 (Hawk) attempted four free throws (made two of them). In the FT% column, mark down 2/4 or 50%. To figure out the Team Field Goal Percentage count the total number of field goals attempted in each quarter by all players. 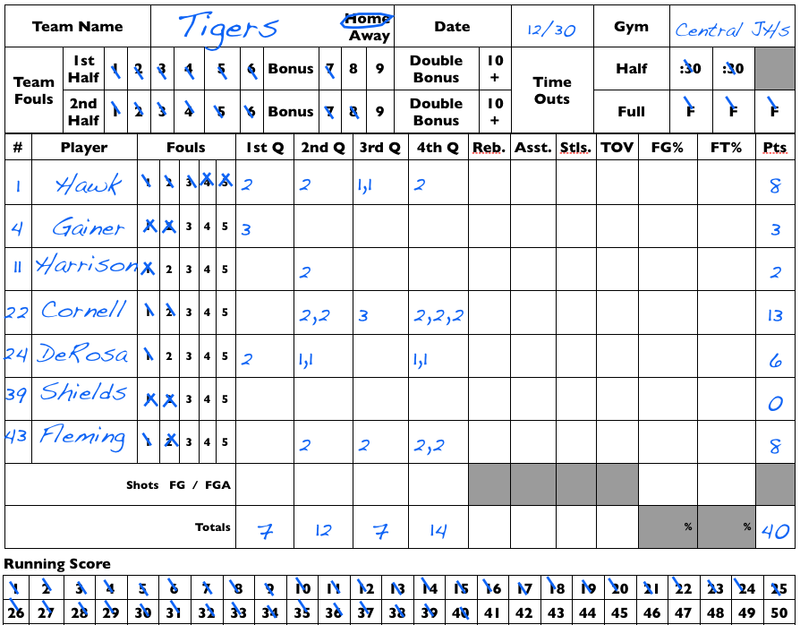 In the first quarter, the Tigers attempted three 2 point shots (made 2 of them) and two 3 point shots (made one). At the bottom of the Qtr. 1 column next to the Shots FG / FGA line put a 3/5 or 60%. Do this for all the quarters. To calculate the team total FG% at the end of the game, add up all the denominators (the bottom numbers or FGA) and add up all of the numerators (the top numbers or the FG made). In the example below, the Tigers took 39 shots from the field (5+11+8+15) and made 16 of them (3+5+2+6). At the bottom of the FG% column record 16/39 or 41%. Hint: You might find that it is too difficult to keep the attempted shots by the individual players of the opponent. I only keep FGA for my son or daughter's team. 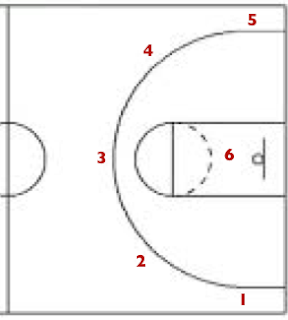 Simply add a slash in the column next to the player who made an rebound (Reb. ), assist (Asst. ), steal (Stls.) or turnover (TOV). Sometimes a coach will assign these non-scoring stats to another parent so that the scorekeeper can concentrate on the vital stats. Hint: If you are the lone stat keeper for the team, keep the vital stats for both teams and only the individual stats for your team. 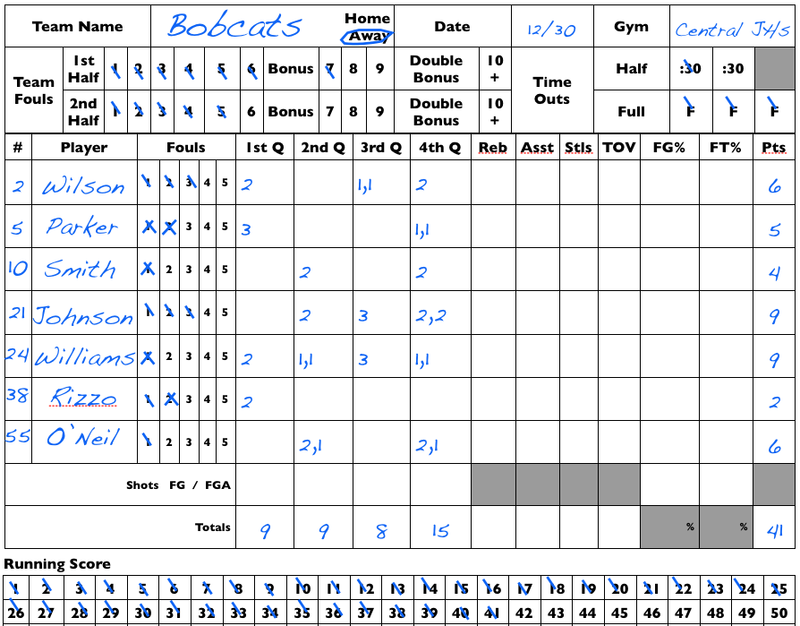 If the coach wants the individual stats for both teams, I would recommend one parent keep the vital statistics + the field goal and free throw attempts as indicated above and have one parent keep all the individual non-scoring stats. Basketball is a wonderful team game. The fans, sports shows like ESPN and even coaches give too much credit to the scorers. 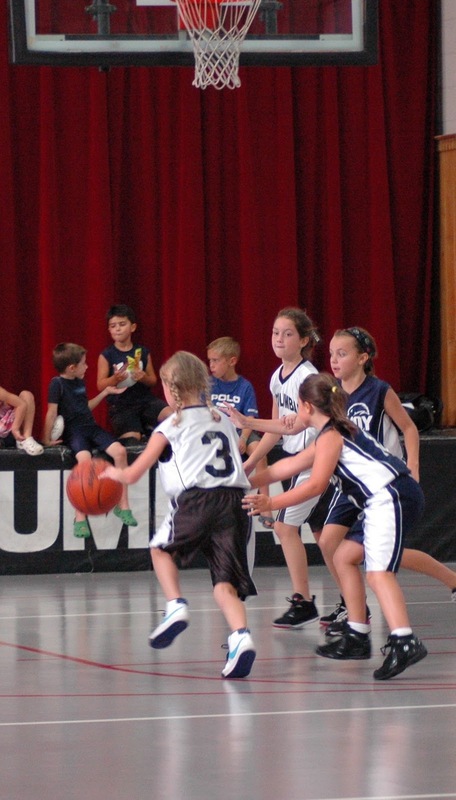 Great defense, passing and rebounding are just as important to winning a basketball game. 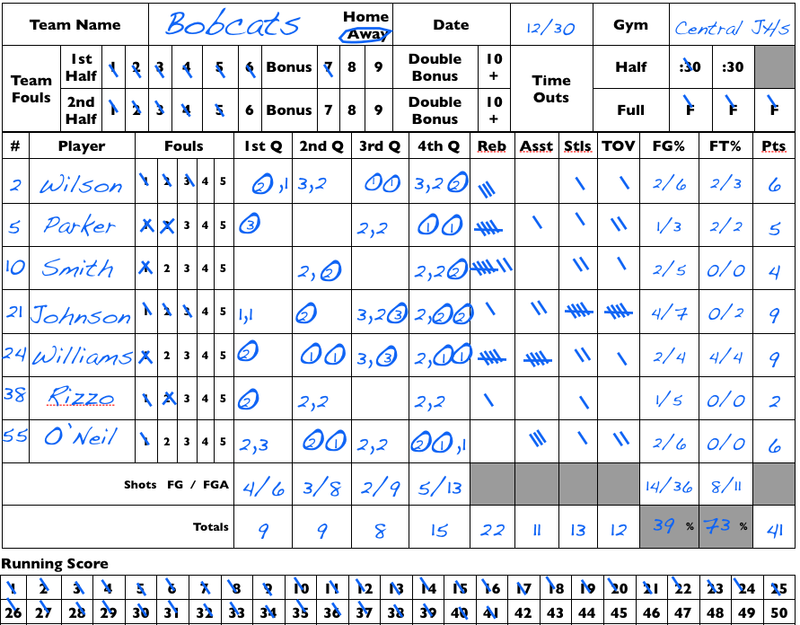 As such, I highly recommend that each coach find a scorekeeper to keep track of assists, steals, rebounds and turnovers and after each game highlight the contributions (assists, steals and rebounds) of the non-scorers. This will keep the entire team motivated to make the extra pass instead of taking an ill-advised shot, crash the boards and get on the floor for a loose ball. The coach may also learn that a non-scorer who he or she typically keeps on the bench is more valuable that a scorer with a low field goal percentage and a penchant for turnovers. Like it or not, the best soccer players play year round. I'm an advocate for playing multiple sports at younger ages, but in this day and age the kids who specialize in soccer are the ones who will likely get the coveted high school roster spots. Year round training means winter training. There are three choices for winter training in the colder climes of the US; indoor soccer with walls, indoor soccer on turf without walls and Futsal. Futsal is a form of soccer played on a court. The game is played with a comparatively smaller and heavier soccer ball with less bounce. The game is played 5V5 and emphasizes ball control and combination touch passes. The video below explains the game and the benefits. My daughter's team decided to play Futsal this winter. After watching two games, I am convinced that this game will help her become a better technical player and a better team player. I recommend that all coaches join the Futsal revolution. 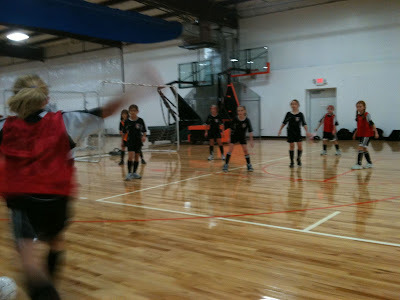 Sunday morning, I picked CC up at a sleepover birthday party and drove in the snow to the Futsal game. She was tired and really did not want to go. Once she got on the court her mood changed. CC scored 2 goals. I have given advice on how to make select teams from my experience as a coach / evaluator and as a parent watching three kids tryout for various teams over the years. I have given advice on how to make a travel or select baseball team and how to make a select or travel soccer team. 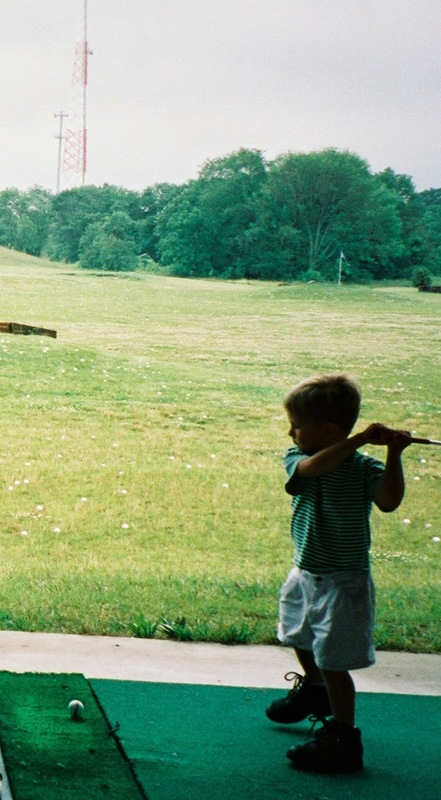 Most of the advice I gave assumed that your kid had the skills in each sport to standout. Here are the 5 reasons - with my commentary underneath. You see this all the time. Great players who do not move well without the ball. This tells the evaluator that they are lazy or not confident enough to want the ball. You have to be able to play with both feet in soccer and both hands in basketball. Link to the post to get some advice and drills on increasing dexterity in both hands. Passing is a skill that does not get enough attention from fans. To me there is nothing sweeter than a smart pass. I used to love to watch Bird, Johnson, Stockton and Kidd work their magic. Even though fans and ESPN SportsCenter do not appreciate the pass, coaches do. Coaches want leaders. Leaders are confident. Defense is another skill that does not get enough attention. Probably because there are few stats that measure defensive prowess. Coaches love defense. Did you notice that the Back Court Academy did not mention shooting? Good passing and great movement without the ball will create easy scoring chances. Great defense will create some fast breaks for easy scoring too. The sharp shooters will catch the attention of the coach, but basketball is a team game and 4 of the 5 reasons listed above are all team related. The only thing that I thought was missing from the Back Court Academy list was hustle and heart. My son is not the greatest dribbler or shooter. He made the his top school team because of his scrappy play. He is always the first one on the floor going after a loose ball. Coaches notice this. You cannot teach hustle and heart, but you can teach a kid to dribble and shoot. My daughter watched my son's scrappy play and plays the same way. The video below is featured on their website. It's a video presentation with 73 slides. Each slide contains the names of two kids who died during sports events between 2008 and 2009. Sadly, some of these tragedies could have been prevented. 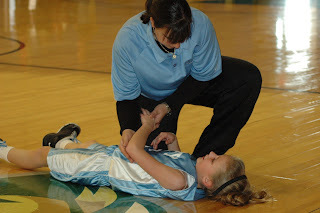 The Sports Safety Alliance is working to reduce the number of injuries and fatalities. I applaud their efforts. I had some success last night talking to my teenage boy after a bad game. I have learned how to deal with these situations and how not too. It has been an iterative process over the years. All kids are different so I am not sure this process will help you, but it seems to work for both of my kids. 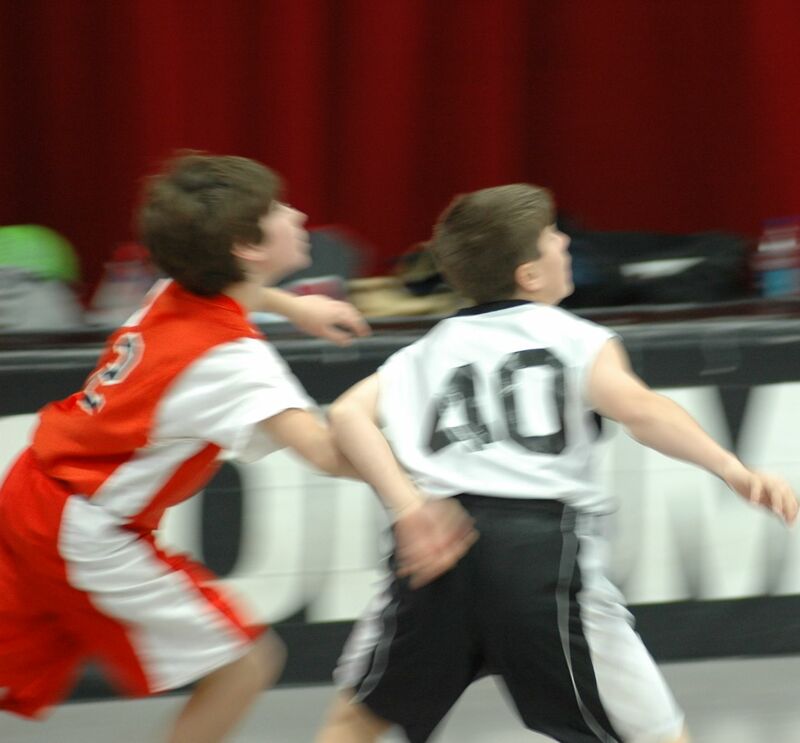 My son's basketball team lost a game by a big margin last night. After the game, my son was upset and stormed out of the gym. He loves to win and gives it his all, but he does not typically get visibly mad about losing. I assumed that he was upset about one or more of the following; 1) his play while in the game, 2) his limited playing time, 3) getting pulled out of the game after being in for less than 10 seconds late in the last quarter or 4) missing a mixer (a school social party / dance) to play in the game. In situations like this, my wife and I both know not to immediately talk to him about the game. It's just not productive. He always needs some time to think about and process the situation, else he will likely be irrational. My wife and I took separate cars to the game. Nic decided to drive home with me after the game. We did not talk for the first 10 minutes of the drive home. After I was satisfied that he had some time to think, I asked him if he was more upset with missing the mixer or how he played (1 point, 1 rebound and 2 turnovers). It was a simple multiple choice question with two possible answers, but after 10 minutes of not talking he was ready to ramble on about both. Afterwards, I realized that he was bummed about missing the mixer, but upset about the game. We drove in silence for a few minutes more. I asked him if his friends would be playing Xbox Live (Call of Duty) after they returned home from the mixer. He said yes. I asked him about his world ranking in Call of Duty - Black Ops. He explained with pride that he was ranked about 80,000th in the world. Millions play. He then explained that he could be ranked higher, but the zombie mode that he and his friends like to play does not contribute to the world rankings. It was late in the game and our team was on the losing side of a close battle. 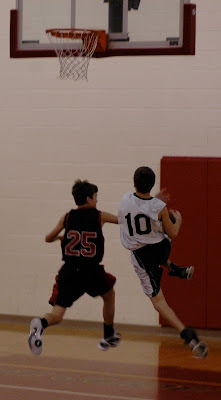 Our point guard had 4 fouls on him, one more foul and he was out of the game. 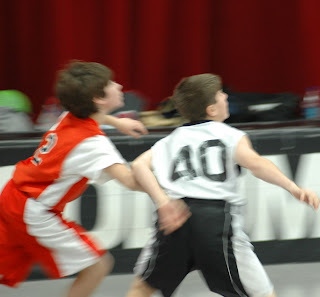 We had just scored a basket and the coach quickly subbed Nic in for the point guard. Nic is not a natural basketball player. He made the team because he is aggressive and quick. He made the team because of defense not offense. He coach inserted Nic into the game to defend the inbound pass and hopefully to get a steal or to foul the player who received the pass. Nic quickly fouled the player to stop the clock and force the 1 and 1. After the foul, he was pulled from the game and the point guard was re-inserted. I explained to Nic that his strength is defense. If the team was winning, he would be in the game. Our point guard's strength is offense. The coach was smartly subbing the best players in for the rapidly changing situation. Once Nic understood the situation he felt better about it. Then I started talking about the things that he did well during the game and also gave him some advice to use his speed more on offense to create opportunities. 1) Assess the situation. Do you really need to talk about the bad game at all? Is it a teaching / learning moment? If not, do not even bring up the subject. Just down play it. 2) If it is a teaching / learning moment. Do not talk about it immediately. Let your young athlete think about it first. Say I understand you are upset about the game, lets talk about it after you have a chance to relax a little. 3) At first, ask yes / no or simple multiple choice questions. If your athlete is ready to talk they will open up. If not, they will give you a short answer. No need to push it until they are ready. 4) Listen first. Try to understand the real issue. Kids often mask the real issues by complaining about an umpire, a coach, a teammate or a phantom injury. Ask lots of qualifying questions. 5) Once you have all the input, explain the situation while highlighting your young athlete's strengths. Try to be supportive of the coaches and the refs. If your kid blames him / herself for a loss emphasize the team aspect of the game. Bad games can be great learning / teaching opportunities. Youth Sports: Sports Training for Babies and Toddlers? On Wednesday, The New York Times featured an article called Sports Training Has Begun for Babies and Toddlers. Apparently formalized sports training cannot start early enough and entrepreneurs are cashing in on it. It's big business. "Something magical happens when kids learn how to throw, catch, kick, run, leap and twist. They get up and join in the game! GYMTRIX™ motivates kids to try new experiences and discover how it feels to succeed; it gives them a positive attitude about physical activity that can influence their whole lives." I couldn't agree more, but do parents need a video to achieve this? What's next an iPhone App to teach your baby how to walk? If you want your kid to throw, catch, kick, run, leap, twist or even hit a golf ball. Just Do It! Get away from the TV, the BluRay Player, the Wii and go outside and do it. 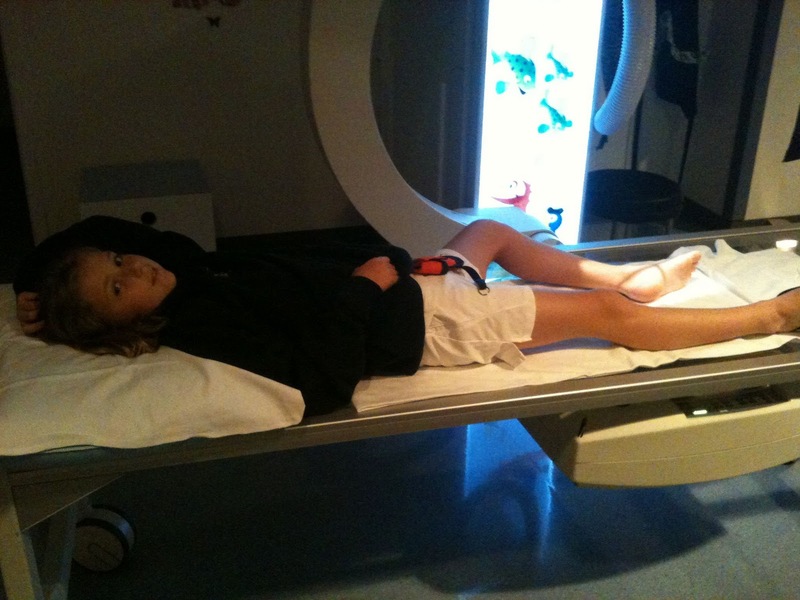 The one thing that I do agree with is that many kids can learn sports mechanics at a young age. It's remarkable what some kids if you just show them what to do. Speaking of big business. In Cincinnati, there is a awesome indoor sports facility called Kids First. It's a sports training facility for younger kids. This place is crowded seemingly 24/7. They have swimming, gymnastics, volleyball, cheering, dance, soccer and basketball programs that cater to younger kids. For example, the 10 week, $152 Tumble Bee class is designed for 10-18 month old kids. $108 will get your kid some soccer and basketball training starting at the tender age of 3 year olds. Truth be told, my wife and I have spent lots of time and money in this place. Your kid will be an good athlete if they are athletic. And it will not make any difference if they start training at 6 mos or 6 years. If you have the money and you want to see your kid run around an indoor soccer field with a bunch of other kids great. We enjoyed it, but we did not think that it was essential step in a quest for a college scholarship and you shouldn't either. I grew up watching the NBA. 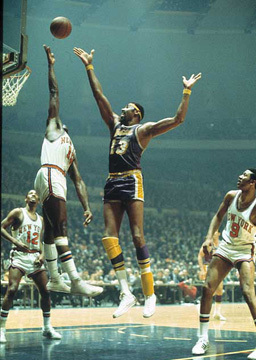 I loved watching the '70's Knicks / Lakers rivalry. I once drew a life size picture of Wilt Chamberlain that I cut out and hung on my wall. It was the first FatHead ever. Unfortunately, at 8 years old I did not see the huge business opportunity. 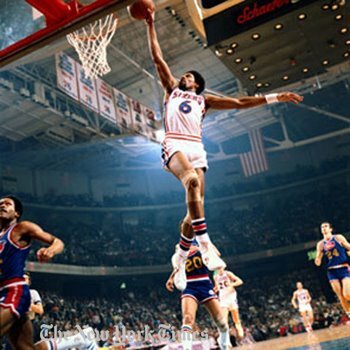 I became a 76ers fan when my dad bought Sixers season tickets in 1976, Dr. J's first year with the team. We had 14th row center-court seats from 1976 to 1990. Over the years, I saw the circus act shots of Dr. J, I witnessed Michael Jordan score his 10,000 point and his 15,000 point and I was awed as a shattered backboard rained down on Darryl Dawkins. I watched some great professional basketball over the years and loved it. Sadly, I do not watch NBA basketball anymore. I don't like the prima donnas or overly tattooed thugs who play the game now. And I am glad to say, my kids do not watch NBA basketball either. On November 27, 2010, Lebron James, arguably the best player in the world, gave me just another reason to avoid the NBA when he intentionally bumped into his coach Eric Spoelstra. It was a bush league, disrespectful move. But perhaps the worst thing about the incident was that the coach did nothing about it. He down played it in interviews after the fact. You can tell in the video he was pissed off until he turned around and saw who bumped him, the supposed best player in the game who cannot win a championship. I see this all the time on youth sports fields and courts. The best players get away with disrespectful behavior much more readily than the bench players. Coaches put winning ahead of discipline. Coaches want to keep their stars happy to keep them from bolting to another team. Ironically, it is the lack of discipline and poor team chemistry that leads to losing and nothing makes a star leave a team more than losing. I agree with Charles Barkley who famously said that he was not a role model. Barkley wanted parents and teachers to quit looking to him to raise their kids and instead be role models themselves. As a former fan of Pete Rose, Roger Clemons and Brett Farve, I could not agree more. Add Lebron to the mix. I had already added him to the list this summer for the way he handled his free agency. And lets add Eric Spoelstra to the list of coaches we do not want to emulate. He is toast. This is how a Team Mom is born. Before the a sports season starts, the coach will send an email to the team and ask for someone to volunteer to be the team administrator, aka the Team Mom. You know the email. It's the kind of email that you ignore for a few hours or days hoping that someone will response before your guilty conscious gets the best of you. 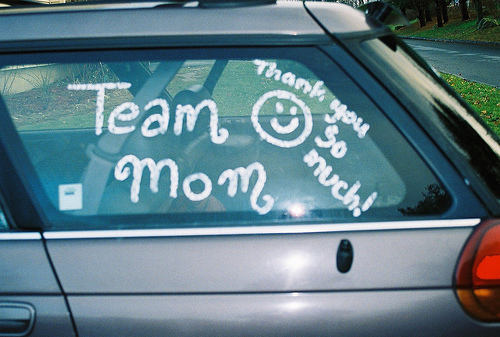 If you were born with that Team Mom gene, you know that there are only one or two logical choices for the job because the job takes great organizational skills and commitment. You know that you would be the best at it, but you want the other person to volunteer first. You kind of want the job, but really do not know how you are going to juggle your time. Both qualified candidates play chicken. The silence on the email is deafening. Eventually, someone with a guilty conscious but terrible organizational skills for the job will nominated the logical choice. The flattering nomination email will say something like, "I would volunteer, but I am not very organized. The team finances and schedule would be a disaster. I wish I were more like Betty Sue. She has complete command of her world. Betty Sue you should do it, you would be a great team mom." Betty Sue will accept because she "kind of" wanted the job anyway. And she will do a great job as the nominator had predicted. I can add to the list - Spirit wear coordinator, Uniform Purchasing Agent and lead Carpool driver. The list above was Adapted from the book, Home Team Advantage: The Critical Role of Mothers in Youth Sports (HarperCollins 2006) by Brooke de Lench. See Amazon link below. The team mom can be a dad. I have seen some every good team mom, dads. Make sure you thank the team administrator after the season. Perhaps buy them a gift certificate to a nice restaurant. They have earned it.